The CCS 3MT presenters. L-R: Dominik Draxler, Shanzana Khan (winner), Andrew Guy, Ashlee Conway (runner up and People's Choice winner), Paddy Dempsey, Waled Shihata. 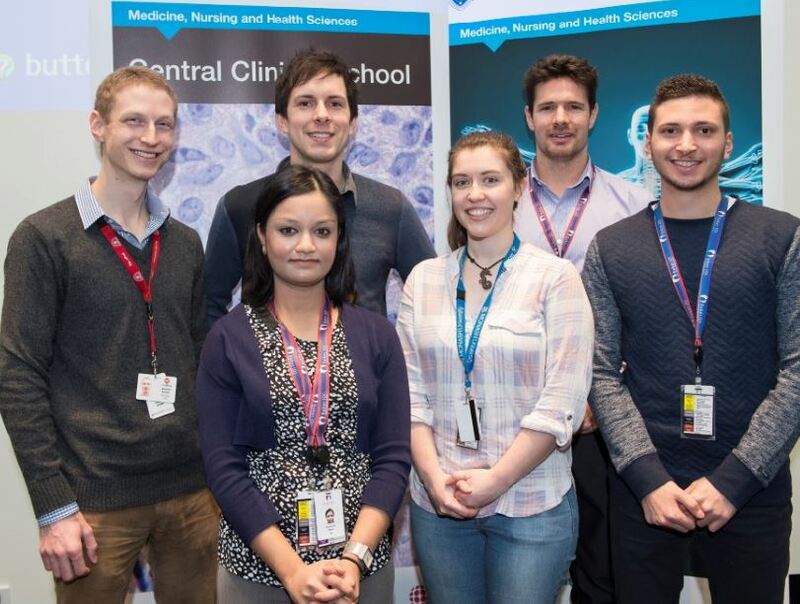 The Central Clinical School 3MT (Three Minute Thesis) heat was held Tuesday 4 Aug. There were six strong contenders on a range of subjects. The winner was Ms Shanzana Khan, and runner up and winner of the 'People's Choice' vote was Ms Ashlee Conway. Shanzana spoke on the influence of the Y chromosome lineage on blood pressure regulation. Ashlee had great fun with porphyria, otherwise and attractively known as 'Dracula's Disease'. We will be publishing videos of their presentations on CCS youtube channel. Shanzana will be competing at the Faculty final on Friday 21 August at 1 pm, Clayton. Please go along and support her! Professor Ian Davis is a medical oncologist and is Professor of Medicine and Head of the Eastern Health Clinical School, Monash University and Eastern Health, in Melbourne, Australia. 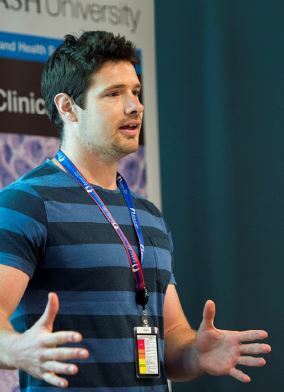 He will be speaking at the forthcoming 30 Sept Translational Research symposium hosted by Central Clinical School. See detail below. This year, mental health is in the news almost every day, and we are fortunate to have one of Australia's premier clinician-researchers and advocates of women's mental health, Professor Jayashri Kulkarni, to present on the topic of how women's mental health in particular is of concern. 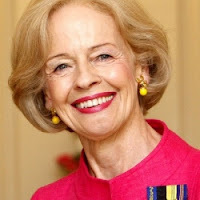 The public lecture will be chaired by former Governor-General, Dame Quentin Bryce, who has had a life-long interest in the subject. The event will have refreshments before and after the lecture, and there will be a Q&A session after the lecture. De Castella Run: register before Monday to receive your bib and merchandise in the mail! The annual de Castella Run 2 Mend Minds is coming up soon (30 Aug 2015). If you register before Monday 17 August you will receive your runner's kit by mail. The fundraising is going outstandingly well, with $60,000 raised so far for mental health research at Monash Alfred Psychiatry Research Centre. No-one too young or old to participate in the run!